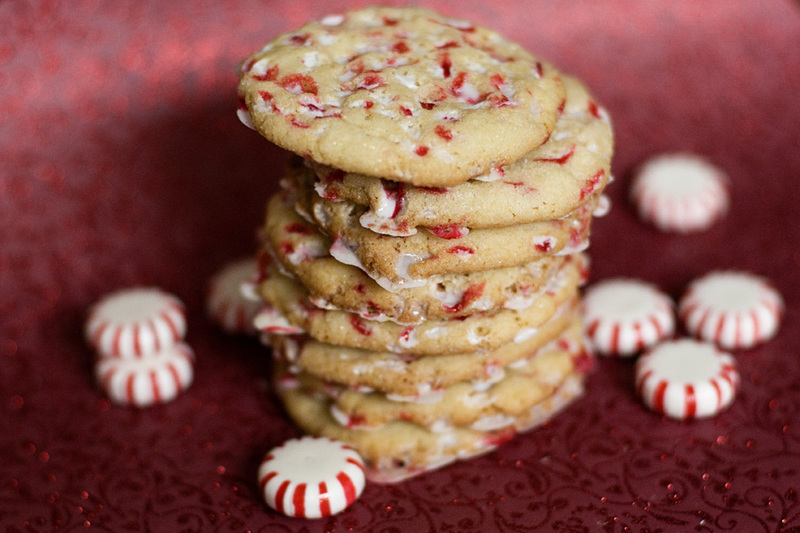 If you like crunchy, crisp cookies AND mint, these are for you! Ahh, December. The holiday season is here! 2. Combine 3/4 cup sugar, butter, egg, vanilla, and mint extract in large bowl. Beat on medium speed, scraping bowl often, until creamy. Reduce speed to low; add flour, cream of tartar, baking soda, and salt. Beat until well mixed. 3. Stir 1/4 cup crushed candy into dough. 4. Mix 1/4 cup sugar and 1/4 cup crushed candy in separate bowl. 5. Shape dough into 3/4-inch balls; roll in sugar/candy mixture to coat. Place 2 inches apart on prepared cookie sheets. Bake 8-10 minutes, or until edges are lightly browned. 6. Cool 1 minute on cookie sheets, then transfer to wire racks for further cooling.